Paramaribo, from 18 through 20 March the Green Heritage Fund Suriname hosted a regional workshop on Marine Mammals in the Torarica Banquet Hall. Various international organizations and scientists from the region will gather to discuss the Marine Mammal Conservation Corridor for Northern South America. The three-day workshop is co-organized by the Regional Activity Center for the implementation of Areas and Species Specially Protected in the Caribbean (CAR-SPAW) and the French Marine Protected Areas Agency and is co-financed by WWF Guianas. The workshop is focused on the protection of the marine environment and marine mammals in Northern South-America in particular and the Caribbean in general. Scientists and policymakers from the region will focus on developing action plans and initiatives that are of importance for the protection of these animals. This workshop which is the follow-up of a workshop held during the 2nd International Conference on Marine Mammal Protected Areas (2e ICOMMPA) in Martinique in 2011 has the Guiana dolphin (Sotalia guianensis) as keystone species. Special attention is also paid to manatees (Trichechus manatus) – which are endangered – occurring in this ecoregion. 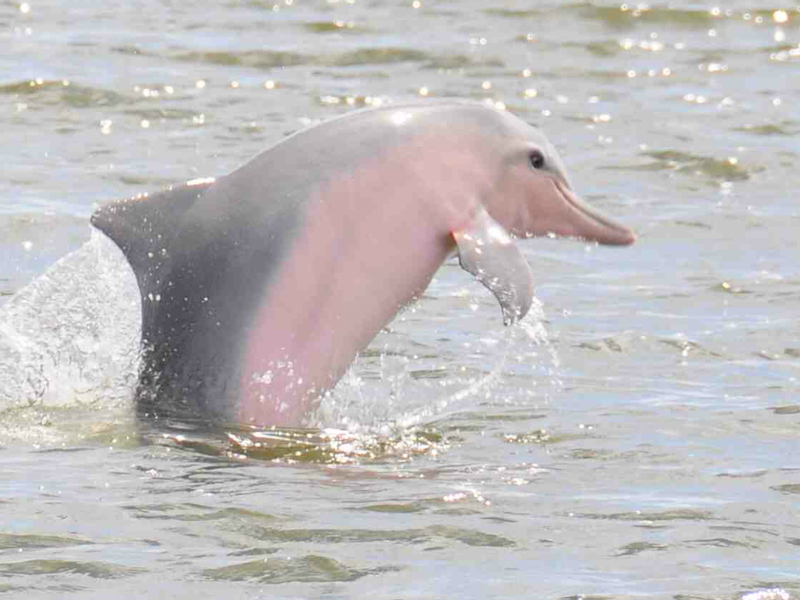 GHFS, which already for 7 years collects data of the Guiana dolphin will take the scientists on a field trip in the Suriname River Estuary where the specialists will be able to observe this special species from up close.